KPM Ltd. was founded at the end of 2010. with the aim to manufacture sustainable prefabricated homes, mainly focusing on Sweden, UK and Norway markets. KPM ltd. has been located in Ulbroka, 10 minute drive from Riga. KPM ltd. founder, Imants Siklovs, has gained invaluable experience working as a top level executive for both - construction and real estate development companies. KPM ltd.combines great perspective on business management and technical knowledge of construction. All materials used for production are certified and meet all requirements of the EU. KPM ltd. has exported prefabricated buildings for such markets as Sweden, Norway, Germany, Great Britain, Baltics. KPM ltd. is driven by the idea that a house is a long-term investment; therefore KPM ltd. has high standards towards sustainability, overall quality and business relations. 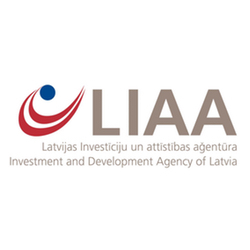 KPM ltd. has a contract with Investment and Development Agency of Latvia for support for exporting companies in foreign markets. Prefabricated timber frame houses are dwellings manufactured in a remote facility, usually in standard sections that can be easily delivered to the building site and assembled. A section consists of timber frame, heat insulation and cladding. As an insulation several materials can be used - mineral wool, wood fiber wool, eco wool. 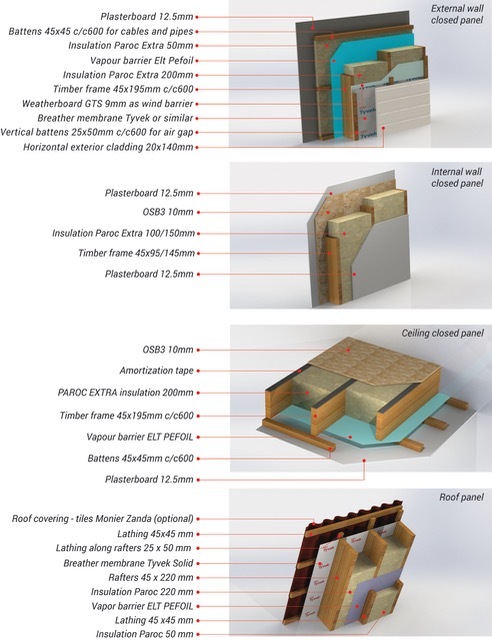 A section can be covered by a fiber panel, plasterboard, OSB plates, plywood or other materials. Configuration of sections can be up on choice, possible various completeness levels as well as installation of windows and doors is managed in factory.